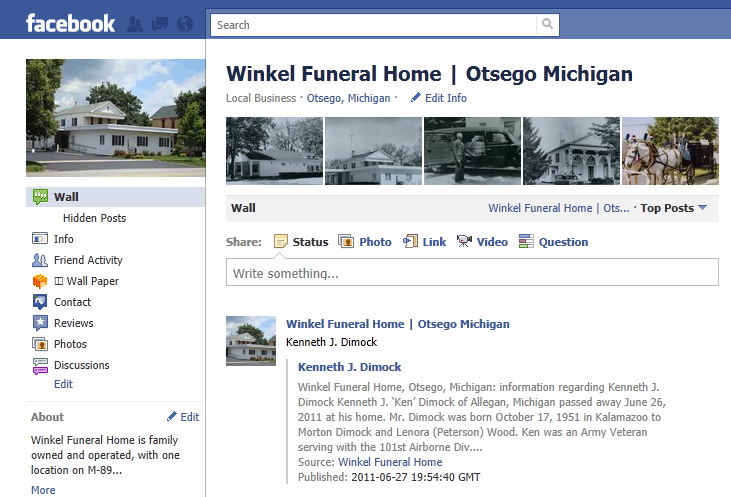 Winkel Funeral Home is now on Facebook. We will be posting information on our new Facebook page. Please feel free to “Like” us or to contact us through our page.